Mercifully better sense has prevailed, and the heat generated by Iran against Pakistan in the wake of the kidnapping of five border guards Tehran claims have been brought over to Pakistani territory, allegedly by the little-known Jaish al-Adl militant outfit on February 6, has been tempered. This came about on February 19, in the form of a meeting of the Pakistan-Iran Joint Border Commission in Quetta, to discuss the kidnapping of Iranian border guards by the supposedly Iran-based Jaish al-Adl. 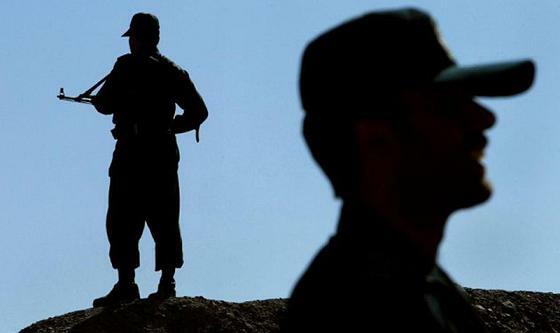 Earlier on February 17, Iran’s Interior Minister had warned Pakistan that Iranian forces may enter Pakistan and Afghan territory to get the border guards released. Abdolreza Rahmani Fazli had called upon Pakistan to treat the case “strongly and seriously” or allow Iran to secure the remote region “deep on Pakistan and Afghanistan’s soil.” According to him, an Iranian delegation was to visit Pakistan on February 24 to secure the guards’ release. He had added: “Otherwise, we do consider it our right to intervene and create a new security sphere for our safety.” The Iranian armed forces’ deputy chief of staff, Major General Hossain Hassani Sa’di told reporters in Tehran the same day that the guards were still alive, and underlined that “political and military measures are underway to set them free,” without elaborating any further. It was also significant to note that Pakistan had opted not to respond to the Iranian armed forces’ deputy chief of staff’s highly provocative statement. Pakistan has quite clearly shown maturity in containing the issue that could possibly have flared up to an unforeseeable level. The earlier cooperation with Iran on the question of militant Iranian militant groups that Pakistan’s official statement referred to was, presumably, with regard to the Jundallah group whose leader, Abdolmalek Regi was captured in Iran during a transit flight and executed in 2010 following a tip-off from Pakistan. It is mainly on account of Pakistan’s help that Iran has been able to curtail terrorist activities on its soil, and those launched from it into Pakistan. The group is wanted in connection with a large number of terrorist attacks in Pakistan, most famously the June 10, 2004 attempted assassination of Lt. Gen. Ahsan Saleem Hyat, the then Karachi Corps Commander. Other terrorist attacks owned by the outfit include the February 2012 massacre of Shia Muslims in District Kohistan. Jundallah also claimed responsibility for the killing of eight foreign tourists and their Pakistani guide in Gilgit-Baltistan, and of course the September 2013 church bombing in Peshawar. Although no foreign threat to Pakistan should be taken lightly, it is worth keeping in mind the Iranian trait of bluffing. It was narrated to me a couple of years back by the late Ambassador Tanvir Ahmad Khan while he was the Chairman and Director General of the Institute of Strategic Studies Islamabad how deftly he had handled a similar situation when he was Pakistan’s envoy to Tehran in the 1990s. The incident had to do with the advance of the Taliban towards Mazar-i-Sharif in northeast Afghanistan and their slaughter of a large number of Tajiks in the process. Of course, Ambassador Tanvir had no such information, but his presence of mind had saved the day. Be that as it may, Iran – displeased with Pakistan for whatever reason – would be well advised to desist from such reckless brinkmanship.